In response to the furore racing around the Outlander world about main character Jamie Fraser being played by Sam Heughan, and the requirement that to be a #HeughansHeughligans you must like pickles (don’t ask). I hereby humbly submit my mother-in-law’s Mustard Bean Pickle recipe. I love these. I haven’t made them in years, but it might just be time again! 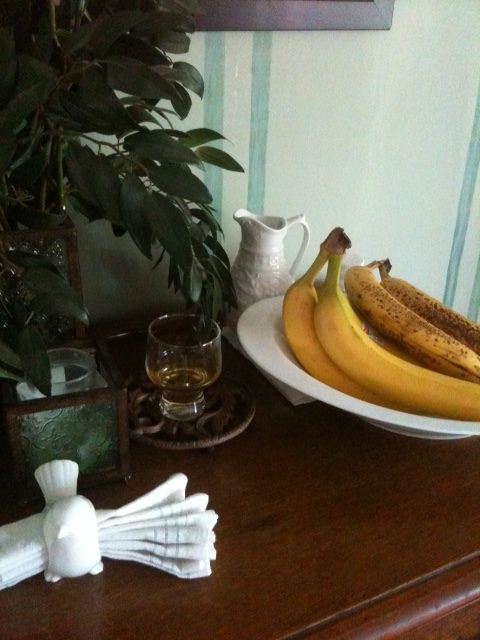 (This is not Outlander’s Kitchen. I am not a chef). Gradually add this vinegar mixture TO the paste, mixing well after each addition. Return to the pot and cook, stirring constantly until thick- about 5 minutes. Add beans and bring to a boil. Pour into hot sterilized jars. Seal. Munch cold while enjoying Outlander starring Sam Heughan on Starz come spring 2014. *note= use pickling salt as the iodine in regular salt makes pickles soft. No one wants droopy pickles. The recipe is extremely simple. Mix a couple tablespoons of apple cider vinegar and a couple of drops of dish washing detergent. Set the trap near where you store your fruit, and then start counting bodies. I just leave the trap out until it evaporates, then I rinse it out and start again. 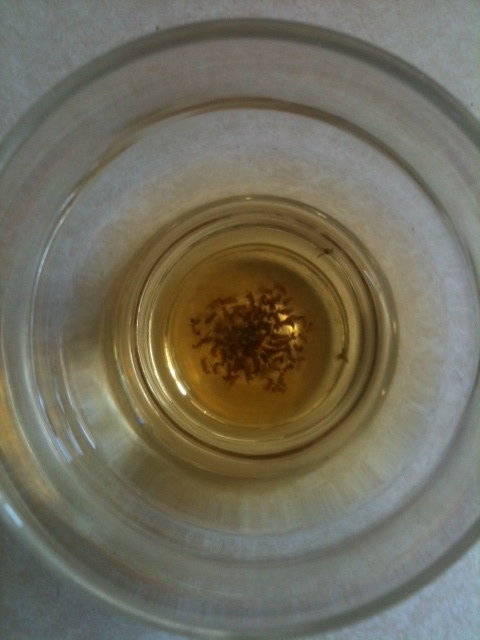 We don’t see fruit flies any more, except in the trap. They hatch and are lured to their death almost simultaneously, it seems. Best of all, this is a perfectly safe pesticide solution. Fly trap placed near fruit. Really fresh, and something different! Let sit a bit for flavours to meld. May serve with taco chips to scoop. You could also put it into a taco bowl, or serve on lettuce. Mmmm. A perfect treat for a hot summer day, and we’ve been getting a lot of those lately! 250 ml (1 c) boiling water. Into a pint (500 ml) measuring cup, pour in a scant cup of boiling water, add the Jello . Stir well until the gelatin is thoroughly dissolved. Pour in the juice, stirring gently, so as not to spill. Pour into your popcicle molds. Freeze. Take a good sized yam, slice it into thin strips of ‘fries.’ Toss them in a tbsp of oil with 2 cloves of crushed garlic, and a sliced onion, spiced with seasoning salt and pepper. Convection bake 25 mins at 410F. They’re sweet and salty; crunchy and soft. I have been asked for my onion ring recipe. I love onion rings. A&W’s are my favorite, but the fat quantity is too excessive for me to enjoy this treat more than once or twice a year. I did not make up this recipe, but it is really wonderful, so I will provide the link to the original website. These are crisp and tasty, as well as very easy to make. You can find the recipe HERE. They’re called “Simply the Best Onion Rings” and they really are fantastic. I didn’t bother making mine as rings- just sliced them. It was simple. Give them a try! I made the best meatloaf I’d ever made and so I preserve here the recipe for future reference. As usual, all measurements are approximate, as I throw together meals with some casualness! In your blender, puree one large (4″ diameter) onion, 2 stalks of celery, 1/2 can cream of mushroom soup, and the liquid from a 10 0z can of sliced mushrooms. Pour the puree into a large frying pan and simmer 4 or 5 mins. Bake, covered in foil, in a 325 F oven for an hour. Add 1/4 c of milk to the remaining 1/2 can of mushroom soup. Mix well. Remove meatloaves from oven, and baste each liberally with the soup mix. Return to oven to bake for another 30-45 mins uncovered. These are flavourful and moist. I served 4 with one loaf, one went into the freezer, and one went into the fridge for leftovers. Very good in sandwiches! I baked russet potatoes to go along with these. I put a skewer through the centre of each potato, and placed it directly on the rack. They were added a few minutes after the loaves went in, so they were baking about 90 mins total.